Students will learn the basics of mosaics, including techniques, design and grouting. Using various materials, students will work towards a 10” x 10” mosaic mirror or 6 x 12 plaque project. All materials provided but students may bring other objects (stones, jewels, beads, etc.) to incorporate into their piece. 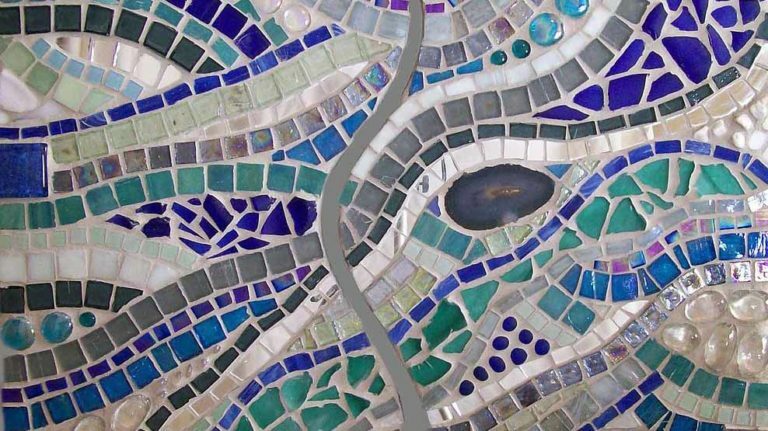 This class is intended for those unfamiliar or new to mosaics but all skill levels are welcome. At the end of the workshop, students will be given a grouting demo and take home grout kit. Students can take the grout home or may choose to complete the project with guidance at a later date at Copper Cat Studios in Sparks.